The M&Co SS17 TV AD is the second AD we have produced for M&Co. We are excited to be working with them as they move forward into a new era, pushing for greater brand awareness and new customers. 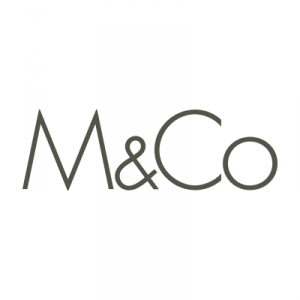 Listed as one of the UK’s top companies to work for by the Guardian newspaper, we have to say it’s not often you come across an organisation with heart but M&Co definitely fit the bill. Following on from the A/W16 ad we were aware that building on the overall brand hand writing and film style would be an important element of our work. However adding in new elements with each edit to keep things fresh was also taken into consideration. As the TV AD marked the launch of their SS17 collection, the production was based around the idea of natural, carefree, silly summer fun whilst at the same time keeping things simple and being product lead. The new slant that we put on the ad was to break the product up into different ‘stories’ and shoot them on different colour backgrounds. Our in house team worked on developing the storyboard and planning out the shots, the set-design, lighting and equipment. Our biggest challenge was planning the composition of the shots. The main structure of the video is made up of multiple shots on screen at the same time. It meant that we could really showcase a lot of the new product that M&Co had brought in for the season but it also meant using rotoscoping techniques in post production and carefully considering transitions. To achieve tone and feel we were going for we brought on board choreographer and movement coach Jenny White. She worked closely with model Lauren Auerbach in developing the movements for the shoot and the interaction with the product. In a bid to transport the customer back to their younger self, we trawled through the archives of 80’s music and found the track “Ain’t what you do, it’s the way that you do it”. We re-recorded and produced the song as a revival of the pop classic by Bananarama and Fun Boy Three.